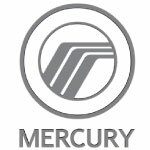 Mercury automobiles are durable and reliable. That’s why many are still on the road today and we have thousands of replacement parts available so you can enjoy your Mercury for many years to come. From stylish interior and exterior Mercury accessories like air vents and door handles to the chief parts like durable steering racks, brake calipers, and radiators, find them in our centrally located 56,000 square foot warehouse in Colton. In 1939 Edsel Ford, the son of the formidable Henry Ford, chose to create the Mercury car brand under the Ford Motor Company. Created till fill the price gap between Ford and Lincoln, these economical cars would also go on to be stylish and elegant. After 71 years, on June 2, 2010, Ford announced the closure of the Mercury line.